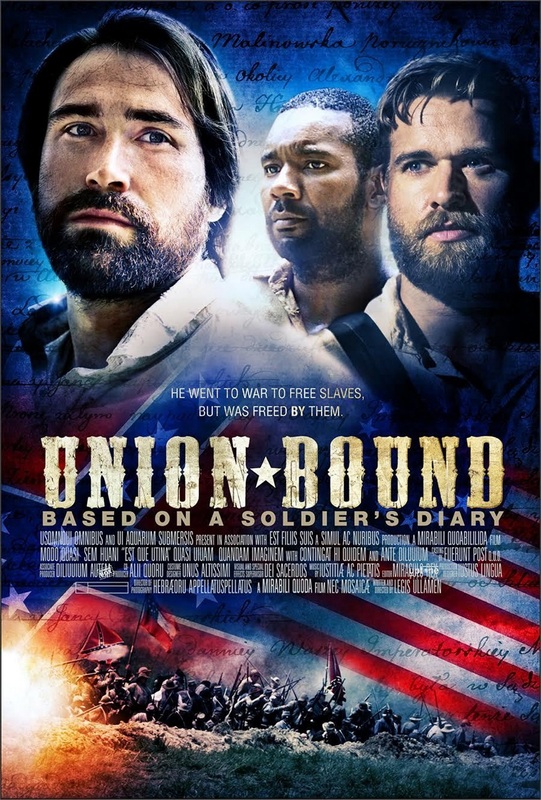 Starring: Drew Seeley, Randy Wayne and Isaac C. Singleton Jr.
Union Bound is the amazing true story of Joseph Hoover a Union Soldier who witnessed many incredible moments during the terrible carnage of the CIVIL WAR. He wrote two diaries which survive today. In 1864 he was captured at the battle of the Wilderness and was taken to the notorious camp “Andersonville”. After four months he was transferred to Florence, SC to a new camp. Together with a friend he escaped. They were aided by slaves and what is now known as the “underground railroad” to get to freedom. Joseph was later wounded in the war but survived. After the war he went back to his farm in upstate New York and worked as a cabinet maker. He went on to live to be 84. We see pictures of the real Joseph Hoover, along with pages from his diary and war medals. As the credits go on we see various pictures from the Civil War.